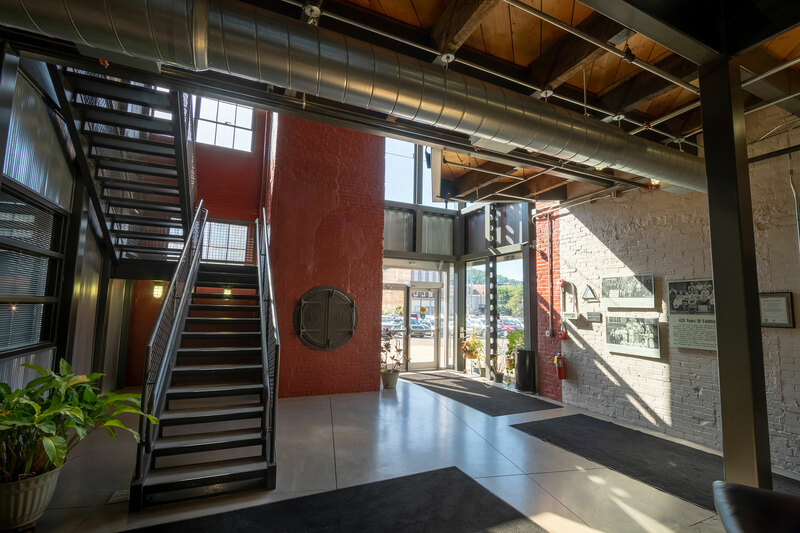 This former Wheeling Stamping Company’s manufacturing plant/ warehouse complex was adaptive reused and renovated to create some of the most creative office space in the State. 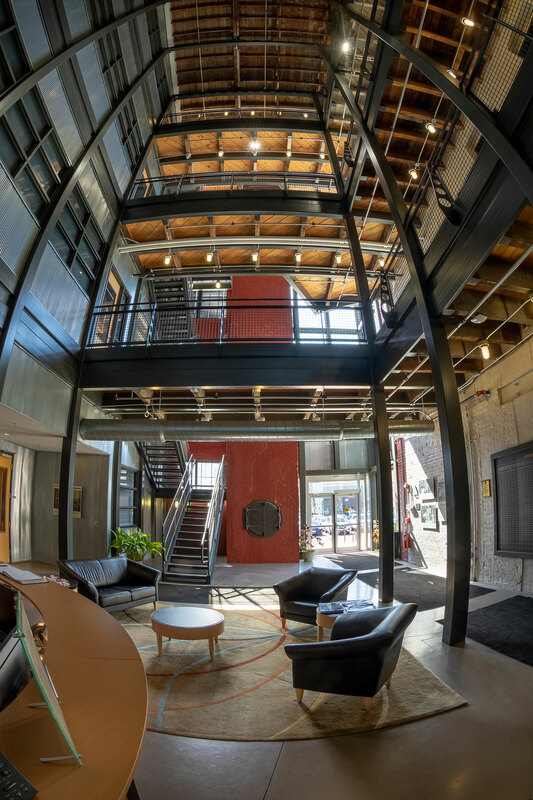 This four-story, 88,000 SF former historic warehouse is now a high tech “back office” for a major multinational company. 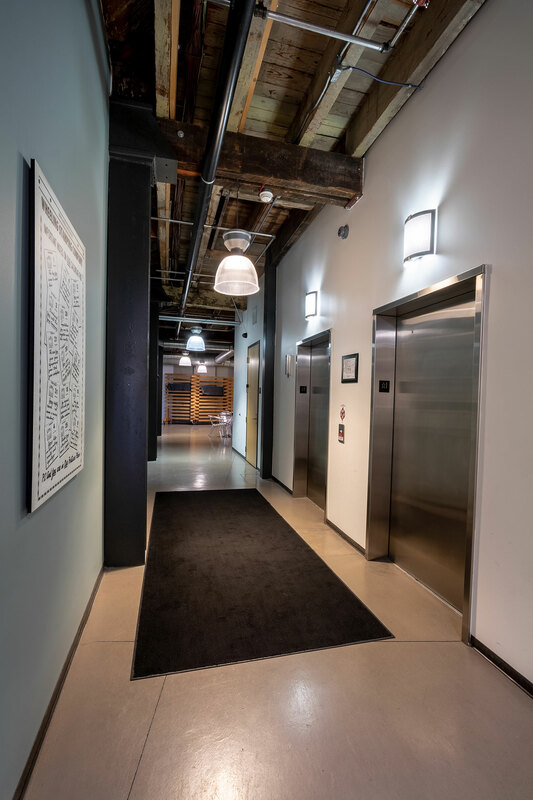 The greatest challenge was to convert the 100 year old once very industrial wood-framed building into a modern “Class A” office facility while retaining the historical heritage of the structure. This $8 million project won a WV AIA Merit Award. The Orrick Corporation performed a nationwide search to establish a 24/7 Global Operations Centers to become the first U.S. firm to consolidate back office functions at an offsite facility location. 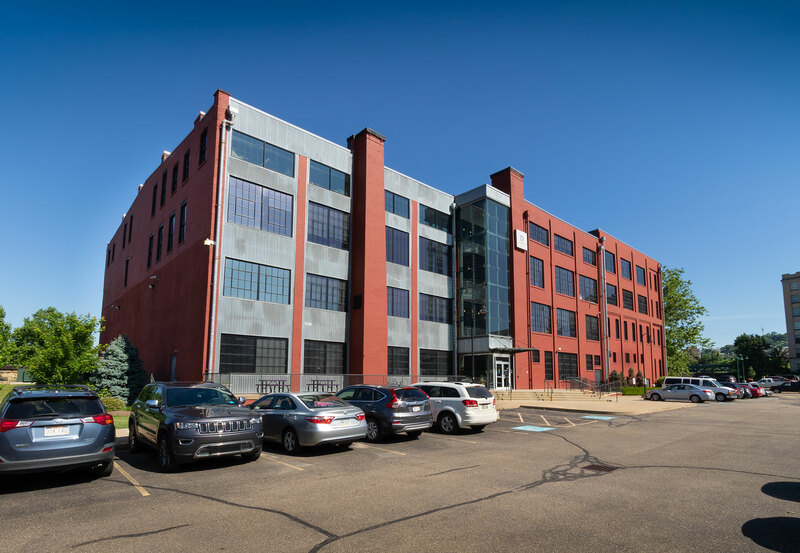 To start, we quickly worked with a project team consisting of the Ohio Valley Industrial and Business Development Corporation, Wheeling National Heritage Area Corporation, and more regional economic development partners to attract a new tenant. The entire exterior shell was designed and constructed in less than 6 months to attract Orrick, and they chose Wheeling! 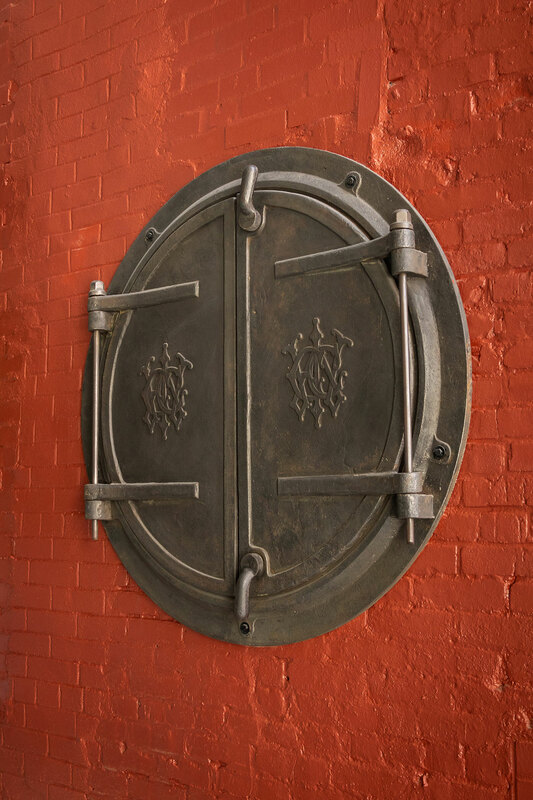 The exterior renovations included reconstructing 120 dilapidated steel windows and glazing, extensive brick repainting, and construction of a new public entrance and parking lot were just the beginning. The entire brick envelope was sealed and painted with a red brick paint following the repainting. Insulating and replacing of the roof of the entire facility was also required. Galvanized metal wall panels and downspouts now enhance the industrial style of the building. The siding is now juxtaposed by a new 4-story all glass entrance, which allows a glimpse of the atrium balconies and walkways inside. The building was partially occupied while renovations continued. Architecture and Engineering design was completed in-house and included a completely new mechanical/HVAC system, structural, civil, electrical and fie suppression systems. On the interior, the original facility was almost void of the vertical circulation needed of a modern day, team oriented work environment. 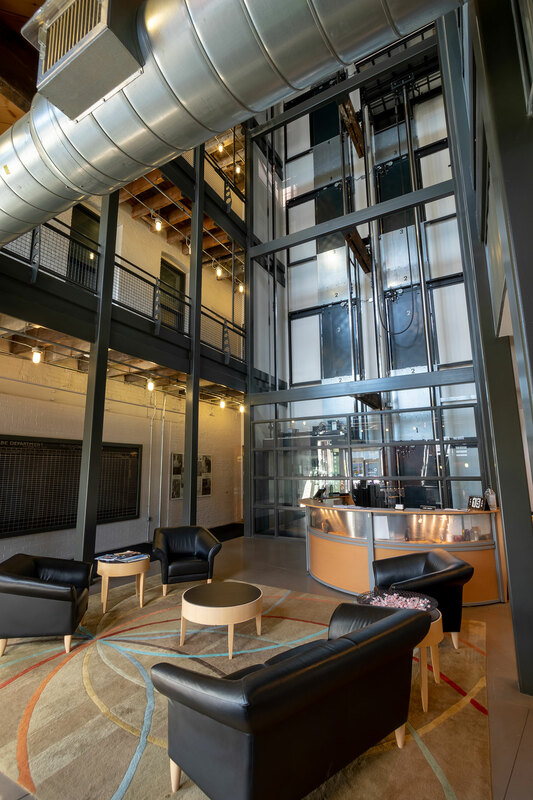 Now, an exposed steel atrium/elevator/stair core connects the four floors while introducing the industrial metals into the interior. 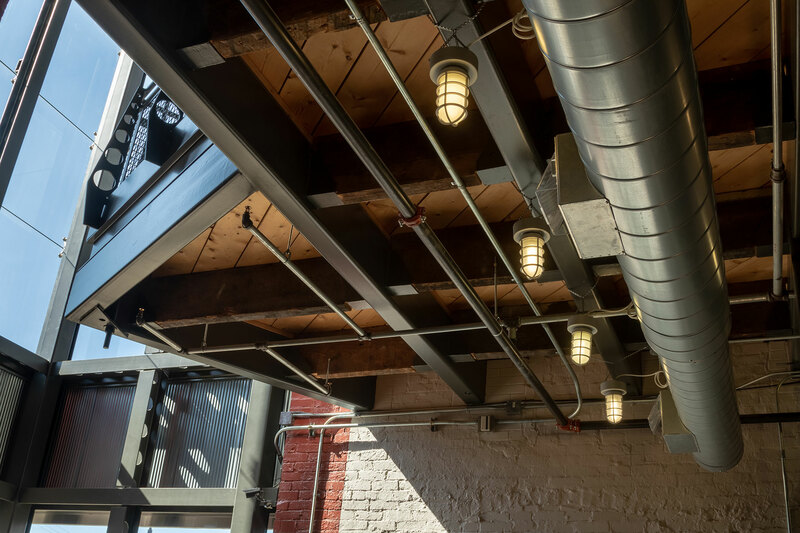 Perforated columns, beams, and wire meshes allow daylight to filter in through usually solid steel construction. Two exposed, glass backed passenger elevators with stainless steel interior finishes now traverse the four floors allowing passengers a dynamic view through the atrium and walkways out to Main Street. The stainless steel and galvanized finishes of the exposed spiral duct work, electrical conduits and cable trays, sprinkler piping, and perforated metal light fixtures further enhance the industrial concept of the design.